This has made me stop and think positively – after my experiences I am capable of anything – I am looking forward to launching this collection of work in a couple of weeks. ‘Pieces of my Life’ is the title of a new exhibition in the Forge Gallery in Allendale during February and features the work of textile artist Kate Slaughter, from Cramlington. Teacher and nature lover, Kate draws her inspiration from the wild flora of both Cumbria and Northumberland. Having photographed her subjects, she then dyes fabrics, yarns and threads to create her fabric pieces; sometimes then including hand embroidery for emphasis and texture. 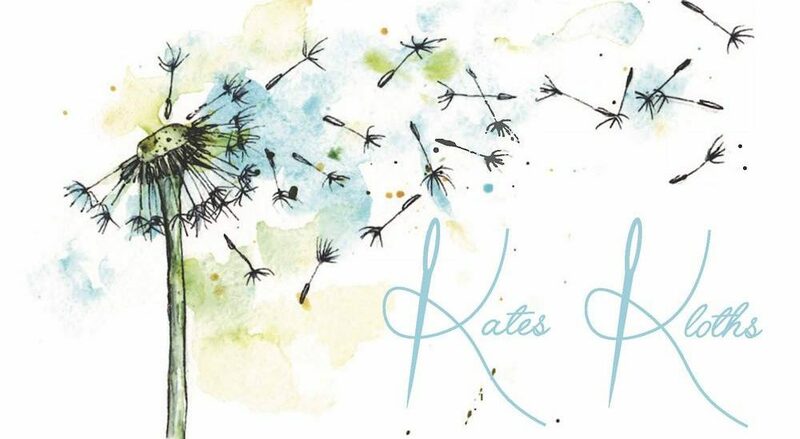 Part of Kate’s collection reflects the challenges faced when diagnosed with a chronic illness. It represents a journey through life and the struggle for survival. 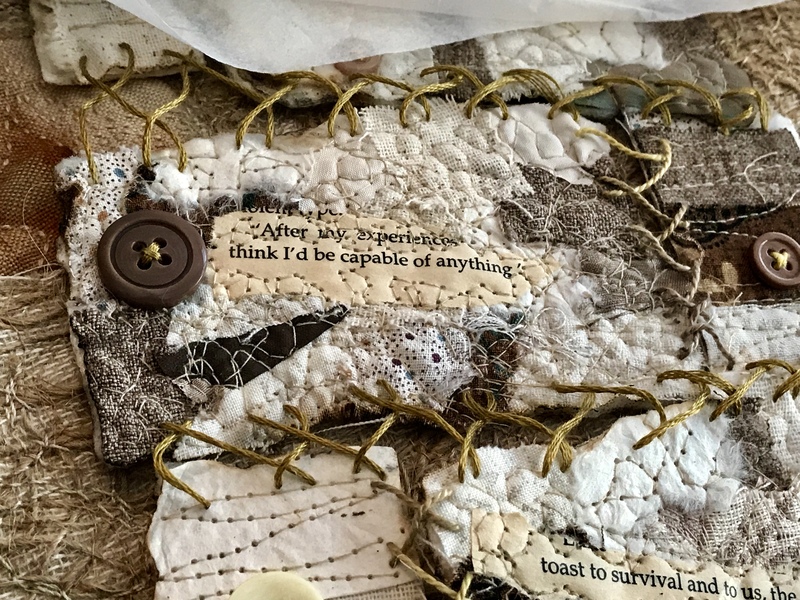 Mixed media and small pieces of fabric are stitched together and layered in different ways to suggest the rebuilding of a life and a muted palette epitomises the anxiety and emotional strain of diagnosis. The finished work hangs listlessly from driftwood, giving the impression of the floating, uncontrolled sensation of being borne along by the tide while always clinging to hope. Kate combines colours using variegated dying techniques with her favourite French knot stitch providing depth and definition to her work. Fragments of fabric and mixed media create the foundations of her embroidery, with hand dyed threads embroidered onto the surfaces by hand and machine to create a rugged background – in the way that lives are crammed with many things pulled together in an effort to enhance the quality of life. In addition to the Gallery exhibition of her work, Kate – who is an experienced tutor – will be running three workshops in Studio 11 at the Forge, on Saturday 10th February Creative Hand Embroidery from 12.30-4.30, on Wednesday 14th February – Mini Art Quilts from 10am – 4pm and on Saturday 24th February – Layered Textile Surfaces from 12.30-4.30pm. It would be great to see you or you might even fancy joining one of my workshops.